When sleeping large numbers of residents or campers, providing mattresses is a necessity. One glance at Google and it is quick to see that the world of contract / commercial mattresses is complex and pricey. With prices ranging from about $25 all the way up to $200 for each mattress, how do you choose the right mattress for your facility? 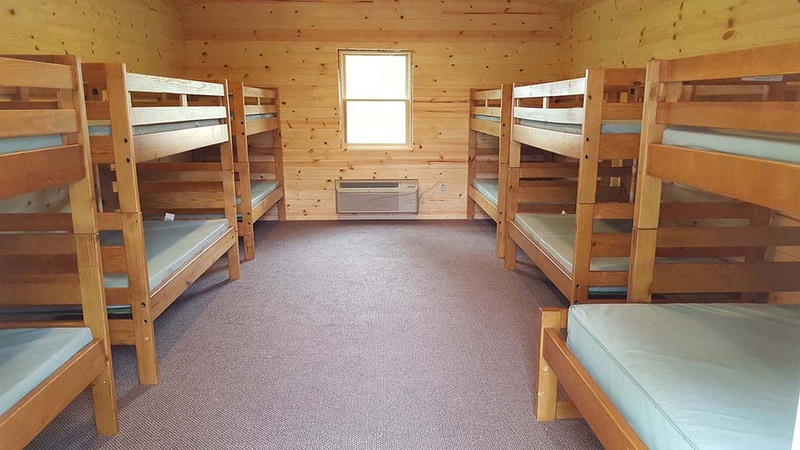 Buying commercial mattresses is typically a budget-stretching process since facilities need hundreds of mattresses at a time to accommodate all of their campers, residents and staff. In Part I of this three-part blog series we will focus on mattress cores. Cores come in a variety of materials. The most popular are foam and fiber with or without innersprings. Most foam is a polyurethane product which means that it is a byproduct of petroleum. The upside of foam is that it familiar in both residential and commercial settings and almost everyone has had an experience with foam either in a mattress, sofa cushion, car seat, etc. Foam cores have varying densities. Understanding the importance of density as it relates to foam durability is a dizzying topic. All foam mattresses soften over time. General consensus is that the higher the density the longer the life span of the foam. Most commercial mattress foams range in densities from 1.0 to 1.8. There is a lack of consistency in these ratings from manufacturer to manufacturer so while the concept is valid the margin for error in density classifications makes this a tricky criterion in mattress purchasing. Want the nitty-gritty scientific explanation? Here is an interesting place to start from the Polyurethane Foam Association. Fiber cores are primarily recycled content. A large component in fiber cores are recycled plastic milk and water bottles. Fibers are “densified” and molded in differing depths, then cut to appropriate dimensions. Due to the recycled nature of the poly fibers these cores are less expensive than foam cores. Commercial fiber and foam cores come in standard depths ranging from 2” to 6”. The deeper the mattress, the higher the comfort and the higher the cost. Shorter depths maybe be suitable for very young, light weight sleepers but heavier sleepers will likely not be comfortable on short depth mattresses. It’s a princess and pea relationship – the more someone weighs the more compression they put on the mattress and the more they can feel the hard component of the bed they are sleeping on. Innersprings add comfort but are more expensive due to the production and assembly of the metal springs. Also, the springs make mattress weigh more making shipping more costly than foam and fiber cores. Few camps or dorms use innersprings strictly due to the economy of the matter. However, adults tend to prefer innerspring comfort so some facilities provide innerspring for adult sleepers and foam or fiber for children. As you can see, there is way more to mattresses than meets the eye. While bottom-line price is important, not all mattresses can be compared in an apples to apples way. It is important to work with a contract mattress and furniture supplier that understands the needs of your facility and the people sleeping there so that you get the right mattress. Stay tuned for Parts II & III of this series for explanations of cover types along with their features and benefits including bed bug and fluid issues.